The winged X-37B, the LightSail satellite and several other small hitchhiker payloads are scheduled for launch atop a United Launch Alliance Atlas 5 rocket at the Cape Canaveral Air Force Station between 10:45 a.m. and 2:45 p.m. EDT (GMT-4). Forecasters are predicting a 60 percent chance of acceptable weather. 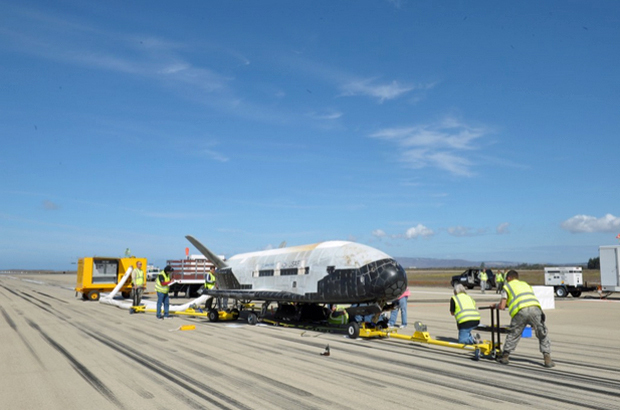 The first three flights ended at Vandenberg Air Force Base northwest of Los Angeles, but two shuttle processing hangars at the Kennedy Space Center in Florida has been taken over for the X-37B program and the fourth mission could end on the 3-mile-long shuttle runway. "This means that spacecraft, especially small ones like CubeSats, won't have to carry heavy fuels into orbit, and that the acceleration will be continuous. Even better, this is a journey that is directly funded by the world’s citizens, like you, rather than by governments. 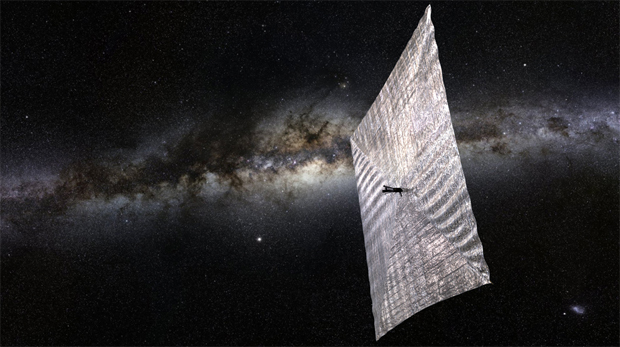 LightSail is truly 'the people’s spacecraft.'" But the primary payload for Air Force Space Command flight No. 5, or AFSPC-5, is launch of the X-37B. During three previous missions, all of which ended at Vandenberg, the Air Force's two X-37Bs logged a combined 1,367 days in space, roughly a month more time aloft than NASA's entire space shuttle fleet during 135 missions over three decades. The first X-37B flight in 2010 lasted 224 days, the second, between March 2011 and June 2012, ran 469 days and the most recent mission, which ended last October, lasted 674 days. "We are excited about our fourth X-37B mission," Randy Walden, the director of the Air Force Rapid Capabilities Office, said in a statement. "With the demonstrated success of the first three missions, we’re able to shift our focus from initial checkouts of the vehicle to testing of experimental payloads."